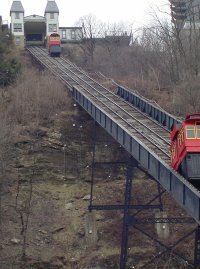 Earth, Inc. serves as the geotechnical consultant to the Duquesne Incline on Mt. Washington in Pittsburgh, PA. 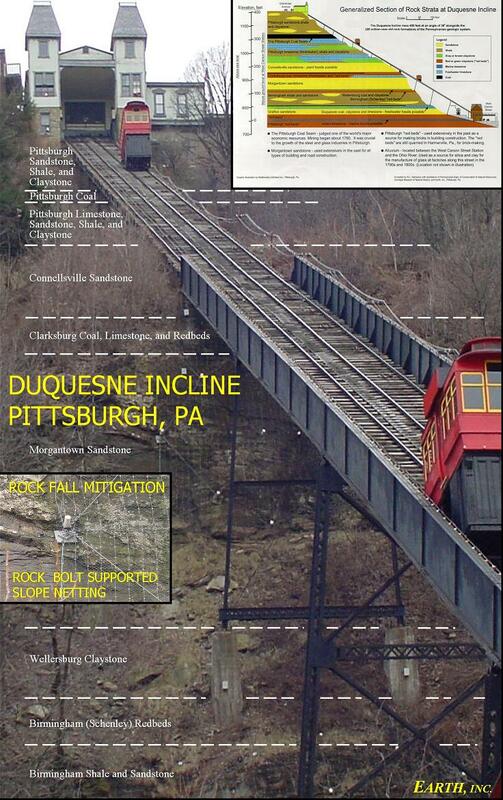 In 1996, the Incline experienced a significant rockfall event. Although the Incline did not incur much damage, its long-term stability was threatened. As a result, Earth, Inc. designed a rockfall remediation system consisting of slope netting and rock bolts on two rock faces of suspect stability on the very steep hillside overlooking downtown Pittsburgh; this work also included shotcrete underpinnings of rock overhangs. The construction work was incorporated into the Port Authority of Allegheny County's contract to perform hillside stabilization along the Conrail railroad shelf. Following construction, Earth, Inc. designed a geotechnical instrumentation system consisting of 10 tiltmeters attached to exposed rock faces. Continuous remote reading of the tiltmeters including temperature data is received over time at the upper station with automated output being generated to provide baseline data for future comparisons. Alarms have been built into the computerized system to alert Incline personnel if unsual movement has occurred providing a warning of possible impending hillside movement. 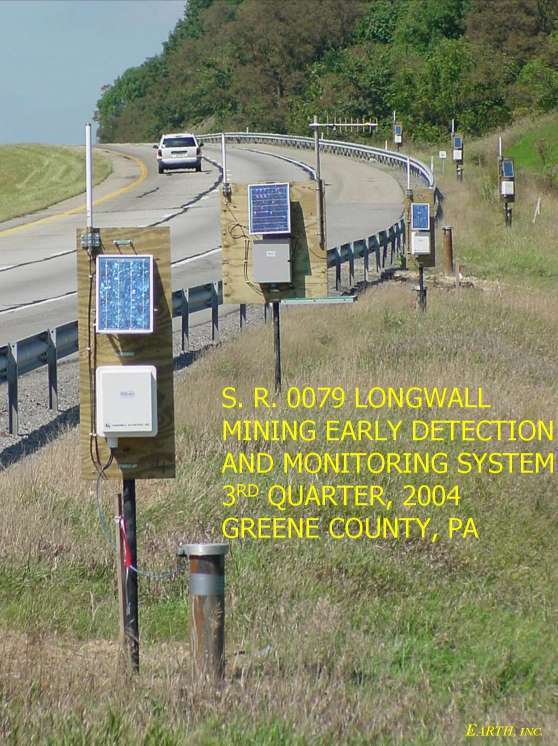 Earth, Inc. has provided geotechnical engineering services for the Pennsylvania Department of Transportation, District 12-0 that include the development of an early detection and monitoring system relative to longwall mining beneath Interstate 79 in Greene County. 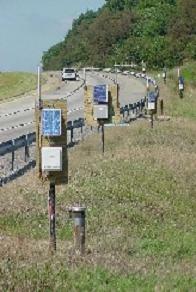 An 8 tiltmeter spread, which was part of a wireless system including solar power sources and radio transmission equipment, allowed for the sending of tiltmeter data to a central location within the tiltmeter spread, thereby providing for real time, cell phone connectivity from the field to the office as well as remote mobile units. As the mining advanced towards the highway, information gathered from tiltmeter data was made available to appropriate District personel to coordinate the enactment of safety measures including continuous on-site observation, traffic alerts, and roadway grade adjustment. The work also included the development of pre and post mining topographic conditions. Profiles and cross-sections along with 3D survey and presentation of data were analyzed to determine what negative effects mining may have had on slope stability. Prior to the arrival of mining, test borings were drilled along with the installation of inclometers to allow for the monitoring of slope movements at critical locations, some of which included embankments with heights in excess of 100 feet which were originally constructed in areas of prehistoric landsliding. An extensive geotechnical laboratory testing program was performed including direct shear testing of coarse aggregates to be used for sliver fill embankment construction with slopes as steep as 1:1. Reccomendations were given for using select materials along with benching of sliver fills for roadway widening. 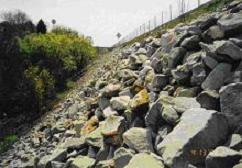 The use of steepened slopes in place of retaining walls along approximately 8,000 feet of roadway resulting in cost savings of over $2,000,000 to the Pennsylvania Department of Transportation.